Windows updates are quite necessary because i myself have faced a problem while installing a educational software it has suddenly stops in the run time and pop up appears as it doesnt supports Framework 3.0 ,as it’s minimum requirement is Net Framework 4.0.I was badly irritated with that error and tried to find solution for the problem. Finally i have fixed it and wanted to share same information to you inorder to save time instead of wasting time for searching. Now you need to change it to “Never Check for Updates(not recommended) ” and click on OK.
After the computer gets restarted then go to same panel again and Now you need to change to “ Install Update automatically(Recomended) ” . Restart your computer once again now. Check the update is working or not.If it doesn’t fix then follow few more steps. Click on start –>All Programs —>Accessories –> Command Prompt, then right click on Cmd and click on the option ‘Run as Administrator‘. In the command Promopt you have to type the following commands. In most of the cases, the problem has been solved following the steps mentioned above. 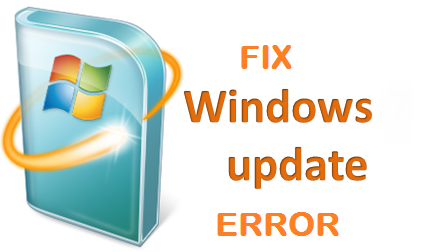 Hope the best way to fix windows update error.Hope you have find best solution to solve problems regarding windows.